Easy as 1-2-3 and tastes like BROWNIES. Don't believe me? Try them now. 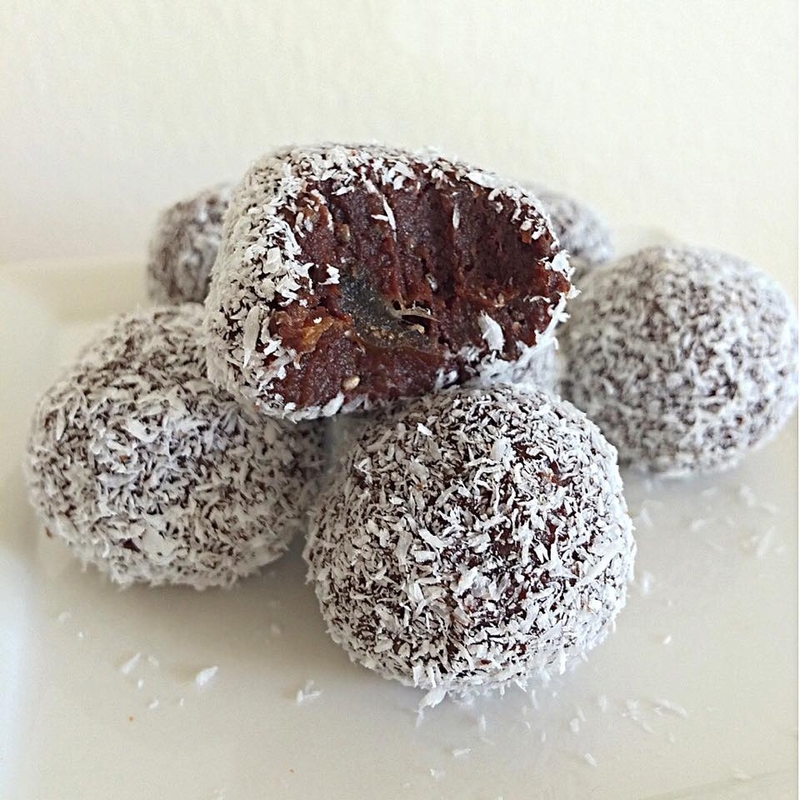 1 cup of soft medjool dates pulsed in the blender till smooth. Transfer the dates into a bowl and add 1 tbsp chia seeds and 2 tbsp cocoa powder. Put gloves on and mix with your hands. Shape into balls and toss in the unsweetened coconut flakes. These taste soooo good when cold. I keep them in the freezer.